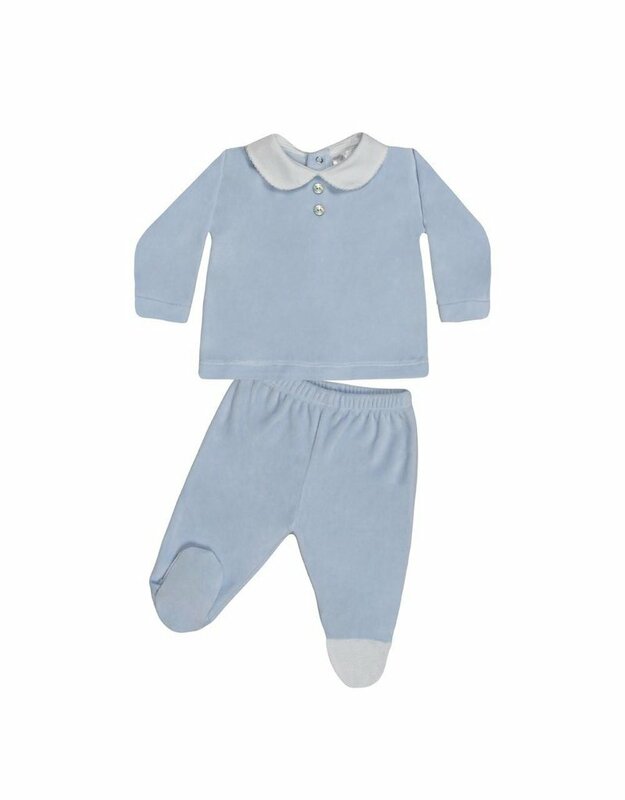 Soft velour blue two piece baby set by Minhon. The top has a white peter pan collar with two front decorative buttons and popper fastening at the back. The footed trousers have a comfortable elasticated waist. Soft velour grey two piece baby set by Minhon. The top has a white peter pan collar with two front decorative buttons and popper fastening at the back. The footed trousers have a comfortable elasticated waist. Cute blue and white stripe two piece baby set by Minhon. The top has a white bib panel with two decorative star buttons and popper fastening at the back. The footed trousers have a comfortable elasticated waist.